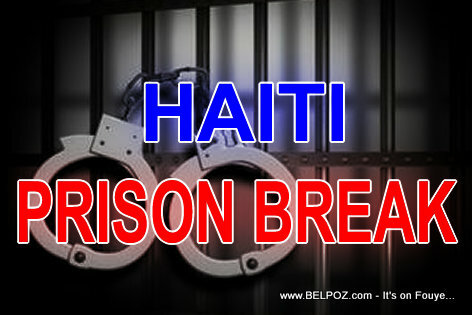 KREYOL: 8 Prizonye sove nan prison Ti Goave... 3 nan yo te Kondane A VIE. Neg yo siye fer forje nan yon fenet prizon an ak yon scie à métaux epi yo chape poul yo. Otorite yo panse se madan yonn nan mesye yo ki rantre ak scie à métaux a... Kisa ou panse de sa??? The convicts manages to saw off the rebar of a prison window with a hacksaw authorities believe was brought in by the spouse of one of the prisoners.